Database technologies can be broadly classified into two main categories: SQL and NoSQL. SQL databases are relational databases, whereas NoSQL databases can be termed as nonrelational databases. These two databases can be differentiated based on the type of information they store, data structuring methods, techniques used to store the information, and their working. Both SQL and NoSQL databases are named with reference to the language they’re written in, which is the Structured Query Language (SQL). Before we start discussing NoSQL databases, let’s first familiarize ourselves with SQL databases, their functioning, and pros and cons. SQL databases provide a more rigid and structured way of storing and retrieving data. In SQL databases, data is stored in tables’ rows and columns. Here each row represents an entry and each column represents a field or a specific type of information about the data. Every such table in an SQL database can be related to one or other tables. And all these relations between entities such as rows, columns, and tables are defined in a schema, and SQL databases come with a predefined schema. SQL databases are scalable, more stable, and are perfect for heavy transactions due to atomicity. But SQL databases falls behind when it comes to hierarchical data storage and are generally not preferred for large unstructured data sets. Key-value NoSQL databases: A simple database, which uses an associativity array, such as a map or a dictionary as the fundamental data model. With reference to a key, its corresponding value is fetched. Key-value stores have a simple data model involving just the key-value pairs. Document NoSQL databases: Document databases are also known as document store or document-oriented database. They are meant to store unstructured and semistructured documents such as XML files, JSON files, and others. Wide-Column NoSQL databases: These are column-oriented databases, which serializes the data into columns. Wide-column NoSQL databases come with a similar data model just like a traditional RDBMS. The difference being the data is stored in columns in a NoSQL database, whereas, it is stored in rows in an SQL database. Graph NoSQL databases: Graph stores basically focus on storing data with relationships. The simplest way to visualize a graph store is to think of a mathematical graph consisting of nodes and relations. The node here can be any object, such as a person, vehicle, animal, enterprise, and more, which has a two-way relationship with other nodes. The multimodel database: A multimodel database is a platform that supports multiple data models, defining the parameters on how the data must be stored and retrieved. A multimodel NoSQL database provides any combination of the aforementioned NoSQL database types. There is a massive increase in the amount of data being generated, collected, and stored in databases across the globe. Accordingly, the amount of data to be handled by organizations is also increasing rapidly. To handle these very large datasets, enterprises need more powerful tools and database management systems to analyze the rapidly increasing data. 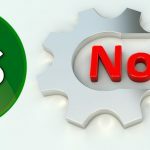 The explosion of Big Data and a tremendous increase in the connected devices are among the primary reasons why enterprises need to shift to NoSQL databases. Big Data generates huge amounts of unstructured data, which cannot be handled by the traditional SQL databases. On the other hand, NoSQL databases are built to handle huge datasets and also come with an ability to handle all structured, unstructured, and semistructured data. With Big Data’s growing implications on the world, huge amounts of semi and unstructured data is being generated by enterprises, machines, sensors, and other sources. NoSQL databases are essential to store, process, manage, and retrieve information from this unstructured data. NoSQL databases can handle huge chunks of data with ease. These databases use a horizontal scale-out methodology, which makes it very easy to increase or decrease the system’s capacity by simply upgrading the hardware. Since adding commodity hardware is possible in NoSQL databases, organizations can deliver higher performance to their users based on the demand. Although RDBMS systems also ensure high availability for data transactions, NoSQL databases offer much better availability even in difficult situations to carry out various data transactions at any given time. In NoSQL databases, data is distributed equally among all the available resources, which makes sure to avoid system downtime. NoSQL databases automatically create replicas of the data across multiple nodes, servers, datacenters, or cloud storages located at different geographical locations to minimize latency. Since the data is backed at various locations, even the failure of a server or a datacenter will not have a catastrophic impact on the enterprise as it can be easily restored from any of its replicas. An SQL database comes with a predefined schema, which cannot be changed or modified once the system is deployed. This makes it impossible to accommodate changes in the relation between the data and its access. A NoSQL database system, on the other hand, comes with a schema-less structure, which can adapt the changes dynamically. Flexible data modelling is also possible in NoSQL databases. Now that we know the advantages of choosing NoSQL databases over the traditional schema-based SQL databases, it’s the time to choose the right NoSQL database for your enterprise. There are several key aspects that need to be considered before you make a choice. This includes the frequency of data read and write operations, tolerance to data replicas, latency, role of relations in data, data model’s flexibility, and more. Key-Value databases as mentioned earlier store the data in key-value pairs. This type of database is ideal for applications involving frequent but small data read and write operations. Key-value databases fit best for simple data models and are consistent in tracking values. These databases can store large data objects such as images, audio, and video files and provides high performance, flexibility, and scalability. Redis is one of the best available NoSQL databases based on key-value stores. It comes with a very-light, fast, and easy to use UI. Redis provides a very reliable and fast storage option for caching or indexing of data. It offers powerful features including options for data manipulation, storage, stability, caching and indexing, and availability. Document database models are primarily designed to provide flexibility. If your business requires the ability to store frequently varying data or attributes and involves huge amounts of unstructured data, then this is the perfect NoSQL database model to opt for. Document NoSQL databases come with low complexity and offer high performance. MongoDB is an ideal example of document NoSQL database. It is an open source document NoSQL database, which is globally renowned to deliver high availability and scalability in handling large volumes of semi or unstructured data. MongoDB is also one of the best available NoSQL databases that support rapidly changing data. MongoDB can handle data types with variable attributes and also supports metadata tracking. As mentioned earlier, column-store databases work like a relational database, which serializes the data in columns. Due to its data model being similar to that of a relational SQL database, column-store databases provide high availability and are ideal for large data read and writes. Column-store databases are ideal for applications that have datacenters that are geographically distributed, and applications that can tolerate data replications. Most importantly, column-store databases are perfect for applications with dynamic fields. 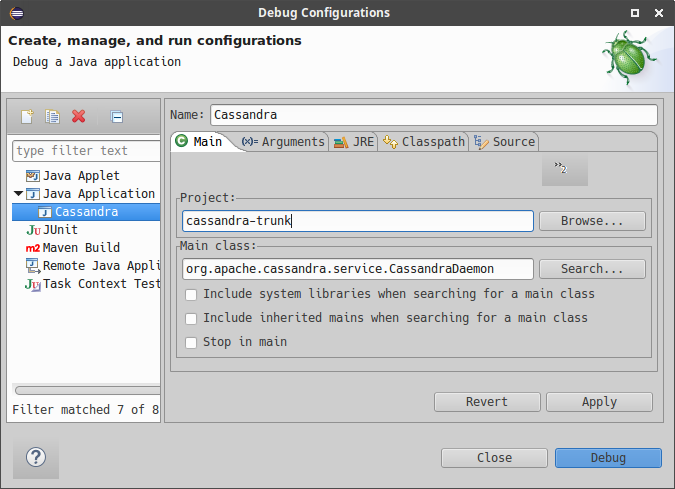 Cassandra is an open source, free to use column-store NoSQL database. It can manage very large datasets across different clusters. Cassandra utilizes a hierarchy of caching mechanisms, which ensures high speed. Since the data is replicated in Cassandra, it can also ensure data safety and disaster recovery. Cassandra offers a schema-free data model, which makes it easy to dynamically adjust the changes in the data model. Cassandra supports a large range of programming languages including C#, C++, Java, Ruby, Python, Scala, PHP, and more. Graph-stores are the ideal NoSQL databases for storing data that primarily relies on relationships. Graph-stores are the perfect choice for problem domains that involve a network of multiple connected nodes, such as an e-commerce domain, networking and infrastructure management, and social networking. Neo4j is a native graph-based noSQL database in which the data is stored as nodes and relationships between various nodes. It offers the essential ACID properties including atomicity, consistency, isolation, and durability. Neo4j offers high availability and security of data. It is one of the most widely used NoSQL databases in social networking and e-commerce. Data is the new gold in almost every sector, none more so than information technology. Considering the amount of data being generated globally and the rapid pace in which it is being generated, it’s evident that we are in dire need of more powerful and advanced tools to deal with the data. NoSQL databases are that right tool that needs to be adopted in the right way to get the valuable information from the data. These NoSQL databases will also help enterprises in making the most of the cloud computing and Big Data.